Concept: Looking for a unique niche? 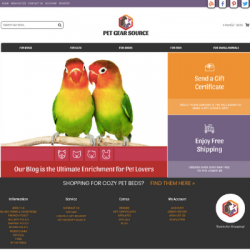 Then this ready-made specialty online boutique is for you! At Pure-Ecommerce we are always striving to introduce new niche market internet business opportunities to help reach online shoppers. That's why we are excited to introduce SilverAndStylish.com to you. 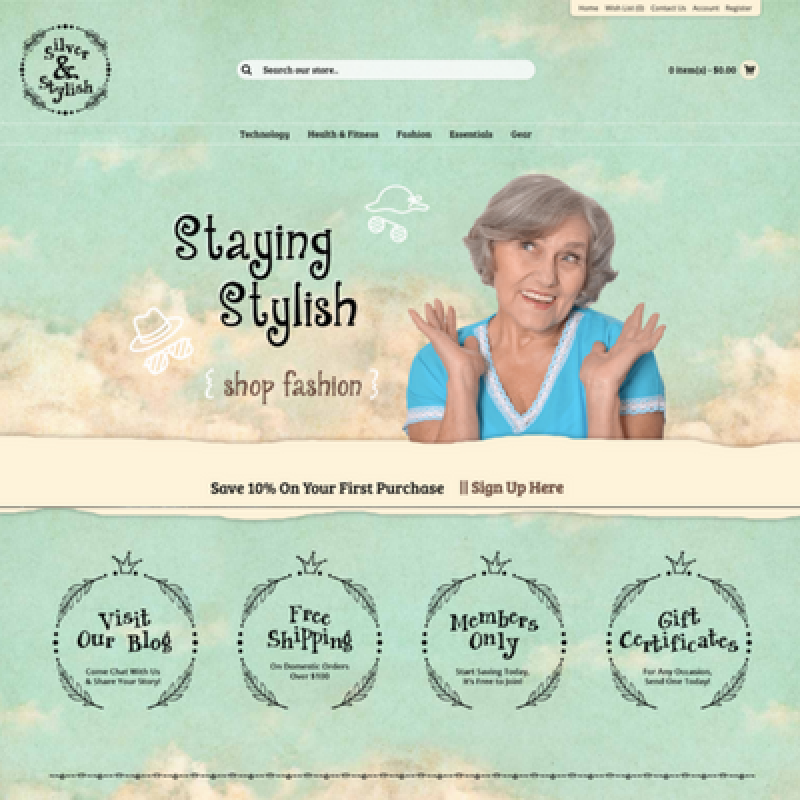 This online business opportunity caters to the senior and baby boomer demographics as it offers a collection for those who are "silver and stylish"! Here they can shop for a variety of products to enhance their lives and home. They can "keep on movin'" when they shop here for the health and fitness must-haves. If they're "tech savvy" they'll want to check out the gear collection. They can keep busy and have fun when shopping for the essentials they need to enjoy their hobbies and pastimes. Plus, when they shop the women and men fashion collection they'll be "Staying Stylish"! All the products featured on this website are from drop ship vendors, which means you do not have to hold any inventory. Our team will establish the initial vendor relationships, load the first 100 products to get you started and then you'll be able to select the next 200 products to load. 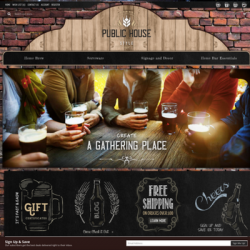 Plus, this online business is a 100% responsive website, which means shoppers will have a user-friendly experience whether they are on their PC, smartphone or tablet. As the owner of this exciting website, you can stay connected with your customers by sharing tips and inspirations to help seniors stay stylish through the connected social media pages, blog, and newsletter! This website also includes 40 hours of step-by-step ecommerce consulting and access to our exclusive eLearning Library. During our 10 step process, you will learn to set up, market and manage your new online business. This online fitness business gives you the start-up essentials you need when entering the online marketplace. Ready to get started? Want to learn more about how we can help you? Then take the first step - login or register for your Pure-Ecommerce Website Portal account to see our pricing and find out how we can help you get started. Do not wait - let us help you get started today! 1 in 4 consumers is part of the Boomer Generation. And 46% of Boomers & Seniors have a net worth exceeding $2 million dollars; while 4 out of 10 boomers have households with a median income of $140,000.00. 66% of people over 50 in the United States routinely make purchases from online retailers. Seniors spend 2.5 hours per week shopping online. 51% of Seniors have shopped on marketplaces, 66% at large retailer sites, 30% on websites or independent boutiques, and 44% at category-specific online stores. Unlike younger consumer segments, tablet ownership is higher than smartphones, with more than one in four seniors (26 percent) owning a smartphone and 35 percent owning a tablet. 30% more likely to purchase online than younger users. While 92% of seniors shop online & 78% make online purchases.